At first glance, the machine looks like a dull pizza box. I suppose it used to sport a tape drive, but unfortunately neither the tape drive nor the internal mounting brackets are present. On the back of the machine are the various connectors. A DB9 male serial connector (could be used to plug a serial mouse). A DB25 female serial connector (could be used for serial console). A 10base5 (AUI) Ethernet connector. A BNC monochrome video connector (which has been broken during the last transportation, I'll solder a new one eventually). And a small opening over the internal reset switch (which you need a needle or a very thin pen to operate). Over this line of connectors, the hole labeled ``color expansion'' is actually an empty ISA slot. One could indeed have a 8 bit color graphics board in it, but any other ISA card would do, as long as you had drivers for it. And over the ISA slot is a centronics SCSI-2 connector. To the right is room for two internal SCSI devices, one 3"1/2 internal drive and one 5"1/4 removable media (such as a tape or floppy drive). 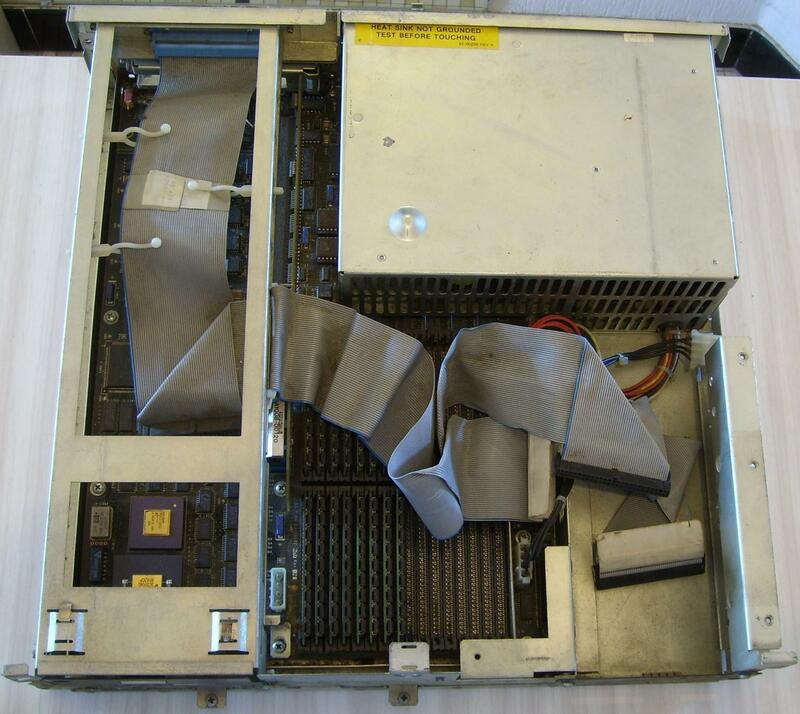 The rest of the case is used by the motherboard, partly obscured by the power supply and the mounting rails for the ISA slot. The processor and FPU can be seen in the lower left corner; above them is a slot for another internal 3"1/2 storage device. Almost one fourth of the space is used to hold memory, in four banks of 8 SIMMs. Here the machine is fitted with 16 4MB SIMMs, for a total of 64MB. I tried mixing 4MB and 1MB SIMMs but this confuses the machine (with an extra 8 1MB SIMMs the machine would correctly report 72MB, but with an extra 16 1MB SIMMs it would report 72MB too, instead of the expected 80MB...). Above the memory banks, the largest black connector is where the SCSI cable plugs in; the other, smaller one, is probably a floppy controller. 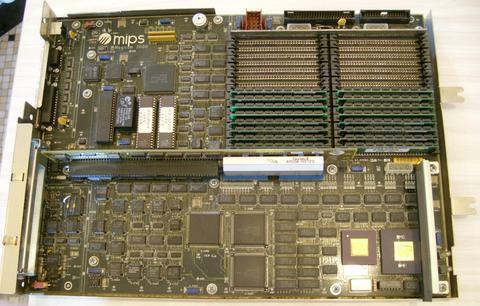 The ISA slot is sported by a so-called riser board. Here is a final picture of the motherboard with the riser board removed. Since I broke the video connector, I can only use this machine with a serial console (I don't have a suitable video cable for that kind of connector anyway). So I wanted to have this machine run NetBSD. I connected a SCSI drive, but I didn't want to setup the disk from another machine - I wanted to use only the resources available to me: a Magnum without any operating system on it, connected to my network. So I had to use dump -b of the NVRAM area to get the address... and when I was done with this, I remembered Marc had sent me a NetBSD dmesg output, which was conveniently printing the Ethernet address... Good thing though, this matched what I had read from NVRAM. Minutes later, I had added the machine to my existing netboot environment. Except I had nothing to boot: NetBSD no longer provides ECOFF images to boot, and the PROM doesn't recognize ELF binaries. The only way to install would then be to either start from an existing NetBSD setup, or to copy the installation miniroot partition from Risc/OS. Digging further in NetBSD archives, I could find an ECOFF GENERIC kernel, which I could at least try to boot to confirm the machine is well alive and the netboot environment is setup correctly. messages. However, running tcpdump on the other side of the network was showing an initial attempt at getting an IP address via reverse ARP. I was tinkering to no avail, until I had an enlightenment: The PROM needs an Ethernet transceiver with heartbeat (SOE) enabled. Once I changed the transceiver configuration, the machine happily downloaded its kernel (note that, for regular operation, i.e. once the kernel runs, heartbeat is not necessary). So I had a NetBSD 1.5E kernel running, but no NFS filesystem for it yet. And I did not want to run this machine diskless anyway, only netboot the installer. But with no ECOFF installer, I had no choice but copy the installer disk image onto the disk, and boot from it. At this point, since I really did not want to use another machine to do that disk operation, I resolved to use the Risc/OS standalone tools (sash.std and format.std), which I could netboot. Boot format.std, set up a ``volume header'' partition large enough to contain the NetBSD image (I picked 1000 cylinders at random, which seems to be good enough). (here for an SCSI disk on id #0). Well, theoretically, that is. Because since NetBSD 1.6 onwards, the installation disk images are not bootable because the tool used to do this has not been converted to the ``everything can be cross-built'' world order, and the NetBSD/mipsco maintainer has gone AWOL. So I had to do this again, using the latest pre-1.6 image, which is the 1.5V snapshot from autumn 2001. This one will boot into sysinst. This allowed me to install 1.5V. Then I had a bootable disk, to which I could copy the 3.0 installation kernel, boot it and upgrade from 1.5V to 3.0. This sort of works. Why 3.0 and not a more recent version, such as 4.0 or the upcoming 5.0? Well, because NetBSD/mipsco kernels are busted in 4.x and 5.x due to a simple typo in an untested switch to the timecounter code. Yes, I have opened a PR about this. It wasn't fixed until months later, and I had to prod a developer privately about this. The astute reader will notice the machine name is jeroboam. This is kind of a joke, I wanted a name sharing traits with the magnum, which is a double size wine bottle; the jeroboam being the size of two magnums, for a volume of 3 litres. And that number matches the CPU, since this is an R3000. How fast is this machine anyway? Well, not that much. 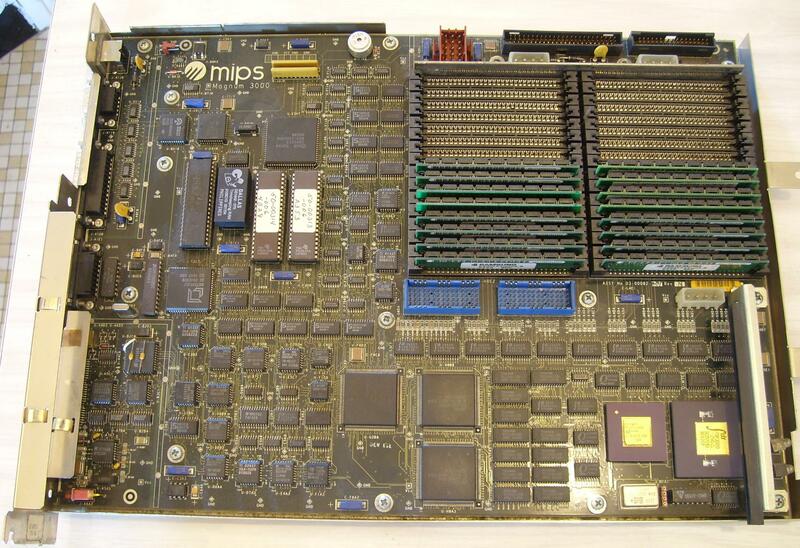 This is a 25MHz processor, after all, and it only has a 2x32KB of cache memory. These figures are only interesting if you compare them to other machines. Roughly, these figures match the performance of a 68040 processor running at 33MHz (but with a much smaller cache memory), but also the performance of a 88100 processor running at 20MHz (with 2x32KB of writeback cache memory). http://www.no-l.org/pages/riscos.html contains some information about Risc/OS, including an installation walkthrough. 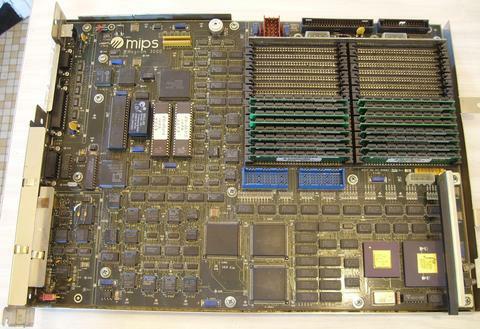 http://www.netbsd.org/Ports/mipsco/ is the official NetBSD/mipsco port page.